View Home Depot Cyber Monday 2018 best deals and sales, with free 2-day delivery on thousands of items and instant savings of up to $500. 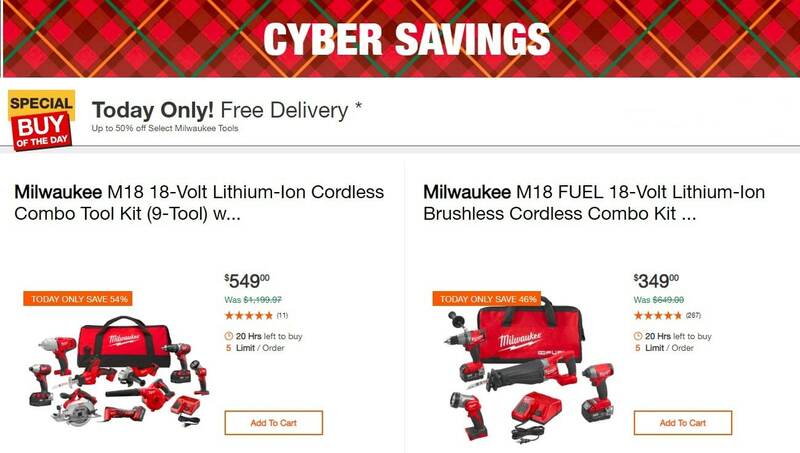 Save with this year Home Depot Cyber Monday promotions on: Milwaukee M18 18-Volt Lithium-Ion Cordless Combo Tool Kit (9-Tool) with (3) 4.0 Ah Batteries, Charger and Tool Bag (save 54%) and Milwaukee M18 FUEL 18-Volt Lithium-Ion Brushless Cordless Combo Kit (4-Tool) with (2) 5.0 Ah Batteries, (1) Charger, (1) Tool Bag (save 46%). 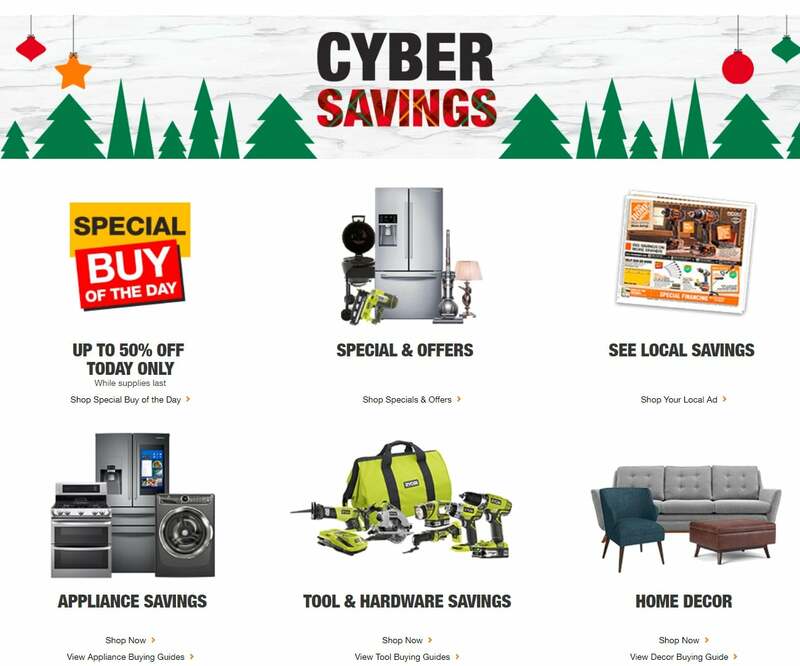 Don’t forget to check this year Home Depot Cyber Monday deals before heading out to shop. We have gathered the entire collection of Black Friday 2018 ads for you on our website. You don't have to search store to store to find the flyers you want when you can browse them all right here in one place. These Black Friday ad scans are filled with amazing deals and sales that will lead to maximum savings. Deals and news happens fast around here, so make sure you Subscribe to our Newsletter, so don't miss out!